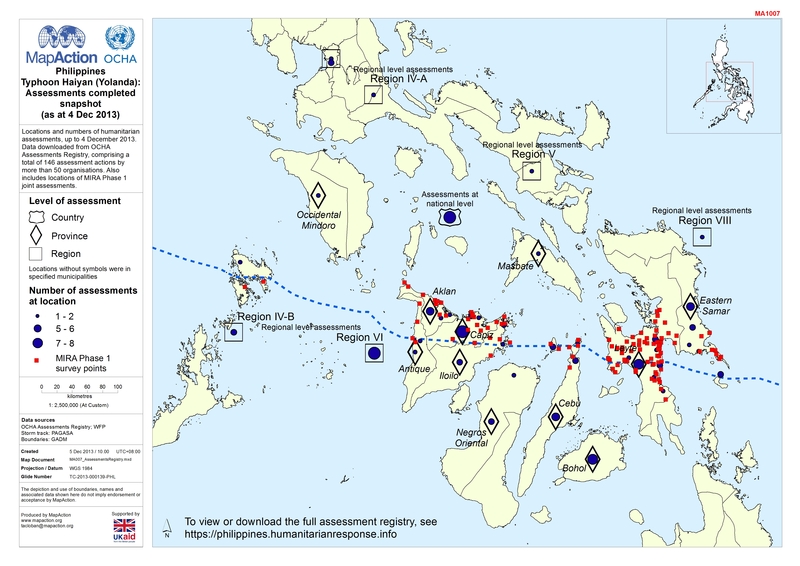 Locations and numbers of humanitarian assessments, up to 4 December 2013. Data downloaded from OCHA Assessments Registry, comprising a total of 146 assessment actions by more than 50 organisations. Also includes locations of MIRA Phase 1 joint assessments.